First issued in September 1951, Charles Buchan Football magazine is credited as being one of, if not the first, football magazines ever. It ran for an amazing 274 issues until 1974 when it was closed due to the "high cost of publishing" .. the sum it was selling for at the time of closure - 20p !! "our object is to provide a publication that will be worthy of our National game and the grand sportsmen who play and watch it"
It went on to have 3 titles during its life, Charles Buchan Football Monthly, Football Monthly and finally Football Monthly Digest. 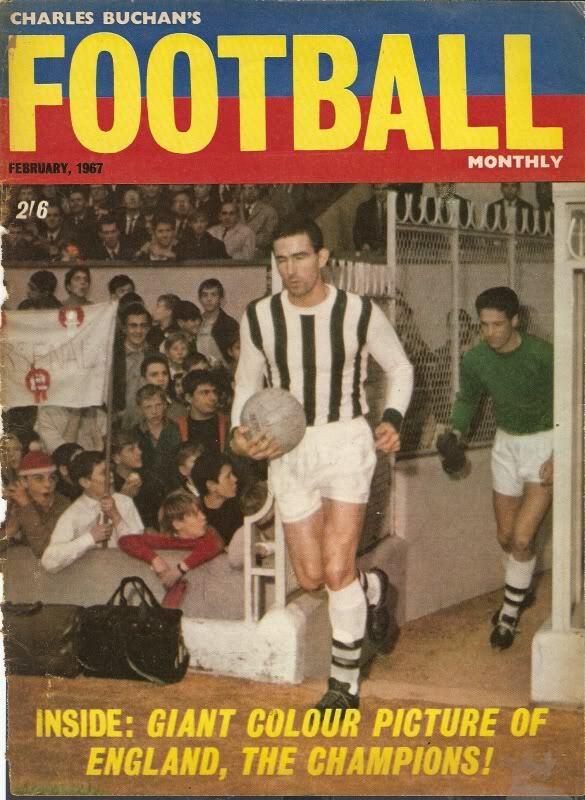 From the beginning the magazine contained black and white pictures of the eras players with colour versions appearing in 1953. In 1957 the magazine began featuring centre page spreads of team line ups. As a measure of how popular this magazine was it had at one time a circulation approaching 250,000, this might not sound extreme but if you bear in mind that popular every day magazines currently have circulation figures nearer to 25,000 you get an idea of exactly what a phenomenon this magazine was. It is with regret that we have to announce that this is the last issue of Football Digest. There are many factors which have forced this unhappy decision, not least of which has been the tremendous increase in the last few months of paper, printing and distribution costs. They have leapt to such a degree that it is not now possible to continue publication without increasing the price substantially. This, we feel, we cannot do. We thank our readers and our advertisers for the loyalty they have shown us during past years, and hope that they will miss us just as much as we will miss them."